They say trends make a comeback and macrame is the comeback we can get behind! 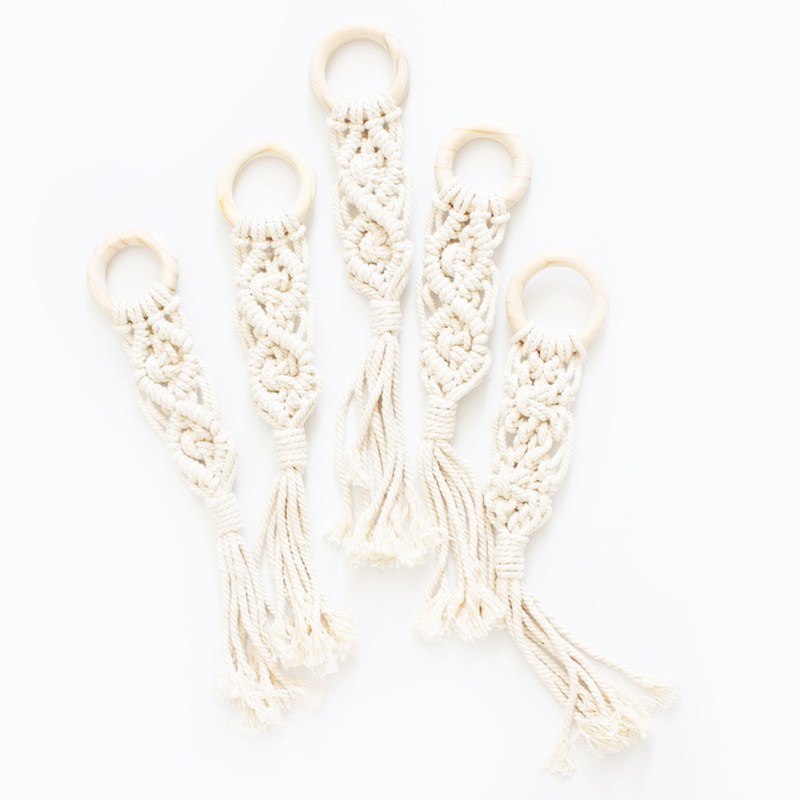 The bohemian Macrame Teether – Natural by Bunni is made from 100% cotton and is the perfect size for little hands. 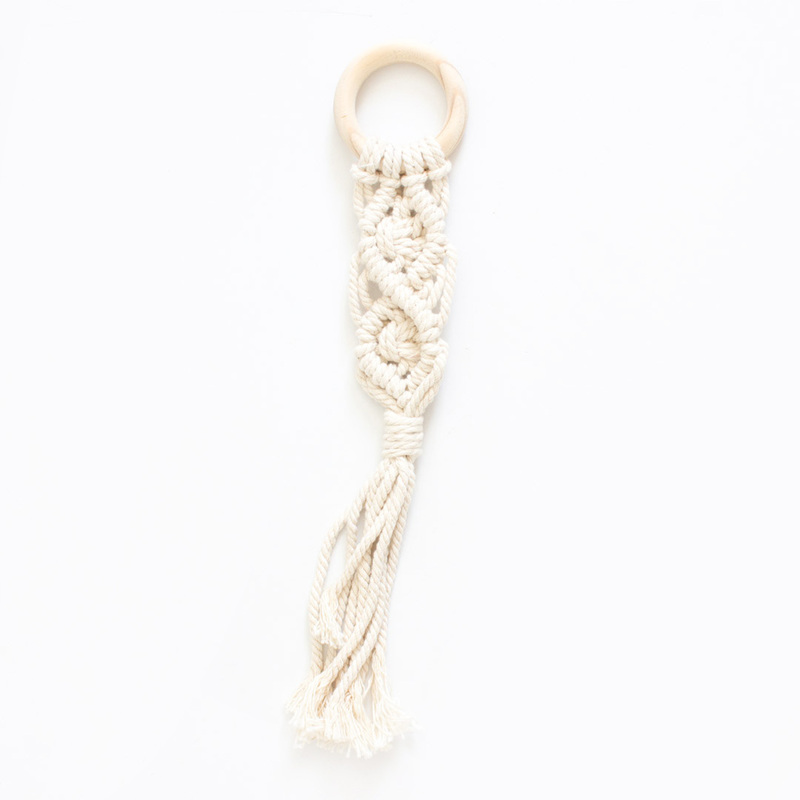 This elegant teething ring provides three different textures for your baby to experience – the wooden ring is perfect for sore little gums, while the macrame tassel provides something soft to chew on! Macrame is a form of knotting by hand to create beautiful patterns and items for home décor or for personal use.